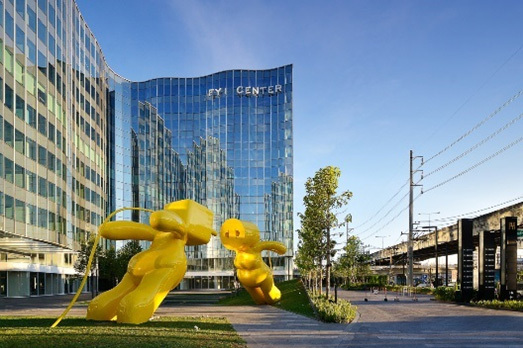 FYI center is located at the corner of the Rama 4 and Ratchadapisek (Phai Sing To) Roads, close to the Queen Sirikit National Convention Center and within walking distance from the subway station which has direct access to the front of the building. This project comprises a 12-story office building and three underground floors, designed with flexibility in space utilization under the “Business + Creativity” concept. The project was completed in the second quarter of 2016 and was awarded the Gold Level certification of Leadership in Energy and Environmental Design (LEED) from the U.S. Green Building Council (USGBC) around the end of 2016. The Goldenland Building is an 8-story building with one underground floor that lodges a total rental space of about 11,000 square meters, located near the main shopping area of central Bangkok with shopping places such as Centralworld, Gaysorn Shopping Centre, and Central Chidlom, as well as famous nearby hotels such as the Grand Hyatt Erawan, and the InterContinental Hotel. The building is only a few minutes’ walk from the Chidlom and Ratchadamri BTS Skytrain Stations. The building is also designed to afford the occupants’ adaptability and greater design flexibility. 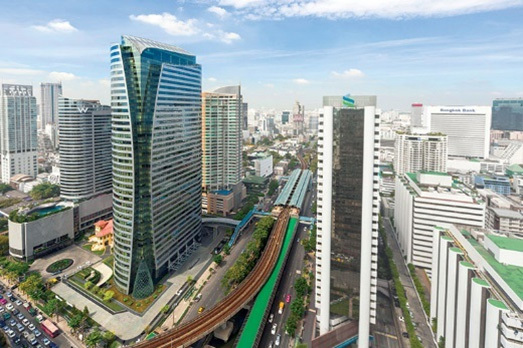 Sathorn Square Office Tower is a 40-story commercial office building with 5 underground floors. It has a rental area of over 73,000 square meters, located in the heart of the central business district, at the Sathorn - Narathivas intersection with a direct passage link to the Chong Nonsi BTS Skytrain Station. The Sathorn Square Office Tower has a unique architectural design. Its rental spaces on each floor is designed to provide more open space, with no pillars, and increased flexibility in space usage and open floor office designs. The tower is an “Energy Conservation Building” that received the LEED Gold Certification (Leadership in Energy and Environmental Design Award) from the U.S. Green Building Council (USGBC). 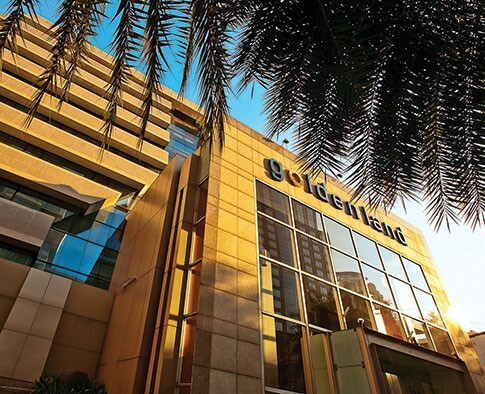 The Company has sub-leased its leasehold rights to Golden Ventures Leasehold Real Estate Investment Trust (GVREIT) in April 2016. Nestled in the inner city and adjacent to Sathorn Square office building, W Hotel is a 30-storey luxury haven with five-storey underground floor and boasts a total of 403 sleek, cozy and amenities-filled rooms with reclusive ambience. In addition to all modern comforts on offer, the upscale W Hotel is just a stone’s throw from BTS Skytrain mass transit system. Managed by the most renowned hospitality conglomerate Marriott International, the fivestar hotel garners prestigious accolades, i.e. Best Design Hotel Worldwide 2015, but to name a few. The Company entered into joint venture agreements with foreign entities to develop the project. Modena by Fraser Bangkok is a 239-room, 14-story hotel with an underground floor, under the management of Fraser Hospitality. The hotel offers an at-home atmosphere and experience. The hotel building is located next to the FYI center and not far from the Queen Sirikit National Convention Center, and Khlong Toei Port, with access to many commercial areas via the subway line making this hotel convenient for business travelers. 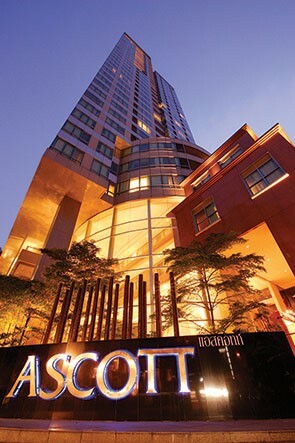 The Ascott Sathorn Bangkok is a contemporary serviced apartment building situated amid the central business district of Sathorn Road, near the Chong Nonsi BTS Skytrain Station. 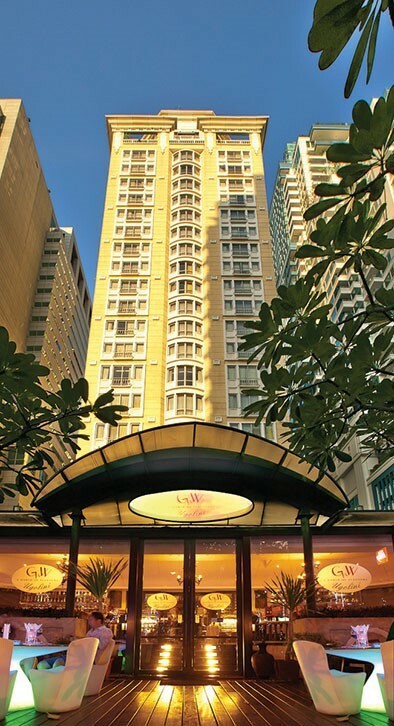 This 35-story building houses 177 serviced apartment units, managed by the Ascott Group Limited, a leading serviced residence and hotel operator from Singapore. The 21st to 35th floor of the building locates the “Sky Villas” the luxurious and exclusive residential highrise apartments decorated by renowned interior designers. Mayfair Marriott Executive Apartment is designed to be one of the most luxurious serviced apartment buildings in Bangkok, with a height of 25 stories. This development has also been granted a hotel operating license. The Company sold its leasehold for the building to the Gold Property Fund (in which one-third of the shares belong to the Company). The building houses 164 apartment units, with various sizes ranging from 1 to 3 bedrooms, and is managed by the Marriott International, Inc, a “global brand” hotel chain and leading hotel management company. The building is located in the middle of Soi Langsuan, not far from the BTS Skytrain Station and adjacent to Lumpini Park which is a famous park within the Bangkok central business district. 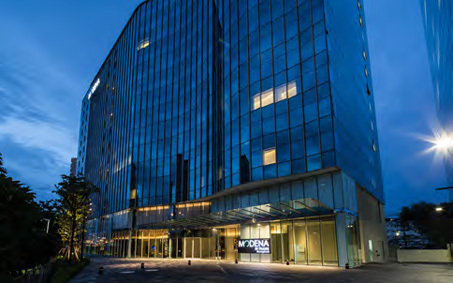 Park Ventures Ecoplex is a Grade A office building for lease in the central business district, located at the corner of the Ploenchit and Wireless Roads, with direct passage from the BTS Ploenchit Station. Sathorn Square is a Grade A office building for lease, located at the corner of the Narathivas and Sathorn Roads, with direct passage from the BTS Chong Nonsi Station. The construction of the project is now underway and makes a progress of more than 50%. It is expected to be completed and go into full service in 2019.